The correct protocol for investigating urinary tract infections (UTI) is unknown but remains a hotly debated topic. The main objective in investigating children with UTI is to prevent the long-term complications of developing hypertension, chronic kidney disease (CKD) and/or pregnancy complications. However, the prognosis for childhood UTI remains good, with low long-term risks, from epidemiological studies, of developing these sequelae. 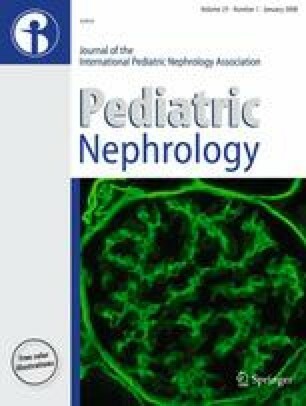 Although childhood UTI is common, the occurrence of CKD and the likelihood that acute pyelonephritis will cause renal damage progressing to CKD are rare. We studied the current literature on investigations of childhood UTI and propose a protocol for carrying out selected investigations in high-risk children. By identifying this group of children with increased risk of having an abnormal urinary tract that warrant investigation, we recommend that targeting investigations to specific children (as opposed to protocol-based investigations of all children with UTI), will be clinically safe and effective and will avoid the unnecessary distress and cost of invasive investigations.